Marcella Zimmerman submitted her story for us to share. She has lived the ups and downs that PTSD and TBI can bring into a marriage. After two close calls for divorce, Marcella and her husband found ways to work through the demons after war all while staying together though the good and bad times. I noticed about a month after my husband returned home from Iraq, in February 2004,that something wasn't right. He refused to go to sleep at night, and then would end up sleeping all of the following day. He was extremely aggressive and would go off on these rages that I had never seen before. One day he went on a rampage and pulled out the drawers to our dresser, smashing it and chipping the hard wood floors. At this point, I took our three year old son and had a friend pick us up. I was shaking and crying pretty hard as I called his 1SGT to tel him that I thought my husband had a serious problem. His response to me and our situation was that he hadn't noticed anything different about his behavior at the motor pool and that maybe I needed to back off. When my husband didn't come home early from work about three months later, I started to worry, though I was also getting use to him arriving later than usual. At first, I didn't think to much on it when I heard his key turn in the door. Then when I saw his face and the look on it, I knew something wasn't right. He told me that he had to go away from awhile to a locked down mental health facility in the next town. He was driving and had seen the post hospital blow up. He stopped the car in the middle of the road and started doing ID checks. An officer from another unit called the MP's and from then on things just got worse. Trying to regulate the medication he was on was terrible. He'd sleep all the time and when he was awake, he was like a walking zombie. his temper only got worse and finally he was medically discharged from the military. Now, he is on 100% disability for PTSD and TBI. At one point he turned to substance abuse to self medicate. I developed secondary PTSD and would even have anxiety attacks. If there were too many people in line at the grocery store, I would leave my cart to the side and just go home. There were days I was too nervous to even leave my house. I began checking all the locks in the house several times throughout the night just to make sure my house was completely locked up. If I ran into someone I knew while out running errands, I would get nervous and make any excuse I could just to leave. If anything unexpected would happen, it would upset me. I developed insomnia, nightmares, and an ulcer.I filed for divorce on two separate occasions. We have been to hell and back and everything in between. So many hardships that I could probably write a novel. Now he is active in ACVOW and volunteers at the local VA. He still has his nightmares and crowds will still make him nervous. He doesn't like to talk about his experiences, so I have learned to stop asking. It took me six years to learn how to navigate through his troubles and through it all, we have become a much closer family. There isn't too much that can shake us now days. It's a process to go through and I wouldn't wish it on anyone. But, he is active in pursuing all the outlets that help and he is taking classes to help counsel his peers with PTSD. It is our dream to one day open our own center for soldiers and their families suffering from PTSD. I have learned to be more understanding, but I have also learned not to allow the fact that he has PTSD take control of the way the family will be. In return, he has learned that while he does have PTSD, it is no excuse to fly off the handle and act any way he wants when he is mad. While we have come a long ways. we still have miles to go. I just wish there had been more support when all of this first started. At that point, I had no one and I was 22, without a clue on how to handle any of it. I myself can understand. I'm still in the Army and have spend 28 months in Iraq, and now am a Drill Sergeant. I recntly had my wife leave me and she pointed out some things to me I didn't realize I was doing. I would rather be by myself. I hated to go out to dinner around other people. Got upset over small stuff. Never was home. I checked my locks evrynight and double checked them even though I knew they were locked. I love my wife and never would have imagined I tore my life apart after my last deployment without realizing it. I'm currently getting treatment for TBI and PTSD but I lost my wife for good. Hopefully things will work themselves out. If there is anyone reading this thta has been deployed and fit the symptoms seek treatment. it only gets worse. Thank you so much for your service and all you've done to ensure the safety of our country. Your advice shows great wisdom, but I'm so sorry for the pain you're faced with. If there's any chance that we can help (or if it would help your wife to have someone to talk to that's "been there" and pulled back from divorce), please FEEL FREE to send me an e-mail at info -at- familyofavet.com. 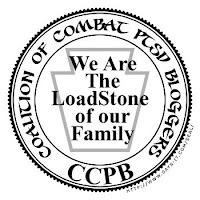 I am a wife to a combat vet who battles with PTSD that is pretty severe. It has changed our lives in many way, ways that many people would not believe. In 2009 I actually packed my things and left because I could not deal with it anymore. After a couple months, we decided to work things out. It wasn't easy and there were a lot of hard feelings in the beginning. However, after a lot of treatment, therapy, and even medications, we made it work. Today we are better than we have ever been. If there is anything I can do or if you would like to email me, please do. I am more than willing to share with you what we have been through and help you in order to help your daughter's family. brittney@familyofavet.com. I check my email quite often throughout the day. You and your family are in my thoughts and prayers. Brittney will have excellent advice. Your daughter is also welcome to contact me! We will help them figure it out if at all possible. Thank you so much for reaching out on their behalf. So many people simply don't understand that heartache and struggles our veterans and families are facing.